On October 29th at the Chevrolet Center in Ohio — where he joined the Beastie Boys on the Swing State Voter Awareness Tour — Ben Harper debuted a whole new band. In Ohio, the four-piece — with guitarist Jason Mozersky, drummer Jordan Richardson and bassist Jesse Ingalls — debuted new songs like “Fly One Time,” “The Word Suicide” and “Lay There and Hate Me” that will eventually appear on their debut album, White Lies for Dark Times (due next May). Then Ben felt bad. He told the driver, the singer from a band called Wan Santo Condo, to go ahead and play the demo. Harper scored the band a record deal, and remained extremely tight with their guitarist, Jason Mozersky. Fast forward to 2005. While Harper was recording his double-disc, Both Sides of the Gun, he invited Mozersky to lay down a guitar part on “Please Don’t Talk About Murder While I’m Eating.” Mozersky told Harper about a couple of his old musician buddies from Austin, who had recently relocated to Los Angeles with their band, Oliver Future. “He was talkin’ up his boys and I was like, ‘I’ll take your word on it,'” says Harper. “Per his description of these cats, I had the right song for them.” The next day Mozersky returned with Richardson and Ingalls, and together they laid down “Serve Your Soul.” “In that moment I knew I’d be hooking back up with these guy at some point,” he says. “And we did it. Relentless7 are gearing up for some lo-pro club shows in L.A. and New York in December, perhaps at tiny places like the Mint, or the Mercury Lounge. The million dollar question is what happens to the Innocent Criminals, Harper’s backing band? 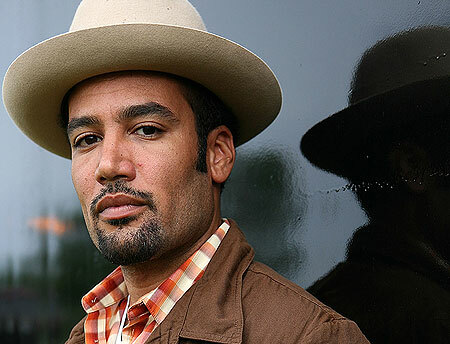 Listen to a new song recorded by Ben Harper and his band Relentless7. Good Times Bad Times is a song written by Led Zeppelin from the album Led Zeppelin. This song was the first LP produced by the band, the 10th of march 1969, with B-side Communication Breakdown. This song was 80th in the US charts.